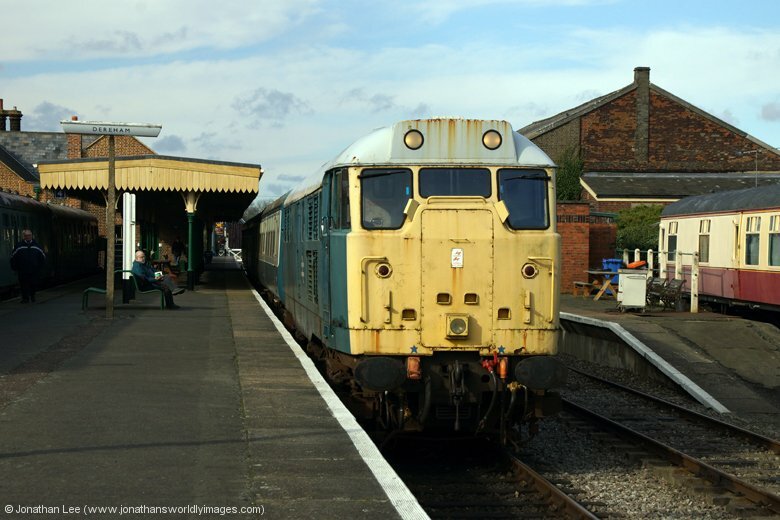 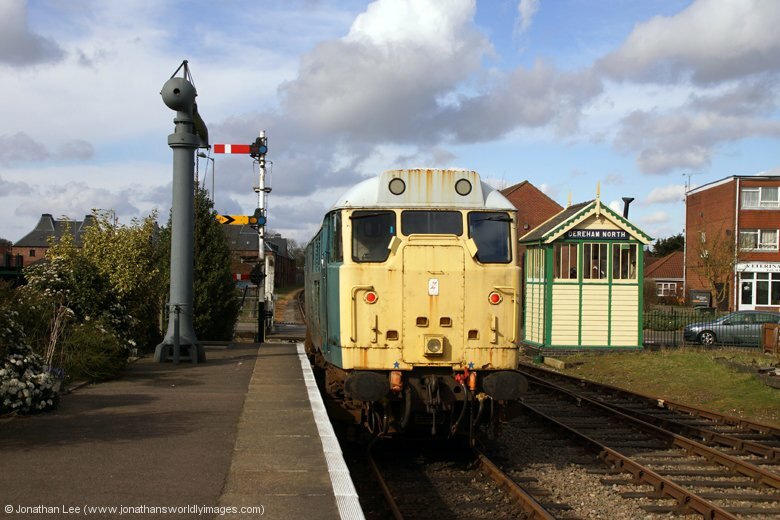 This weekend should have seen a full weekend of class 31 haulage in Anglia but unfortunately 31207 let the side down at the North Norfolk Railway on Sat 22nd March and was out of service! 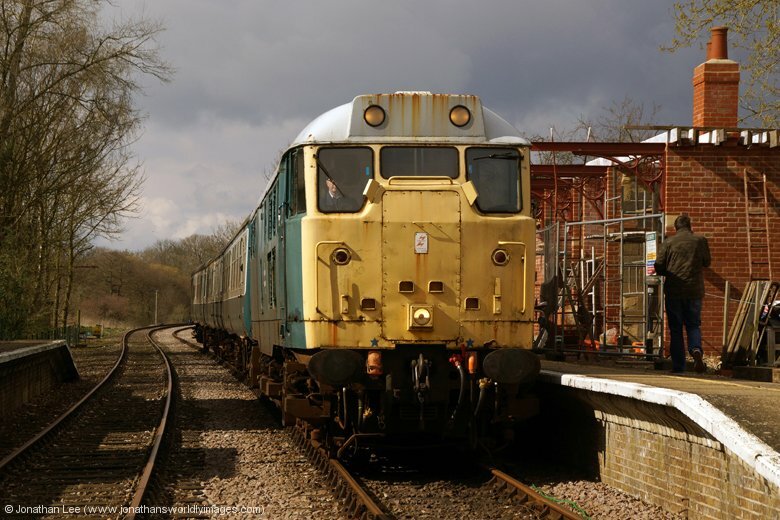 31235 certainly didn’t let the side down at the Mid Norfolk Railway on Sunday 23rd though. 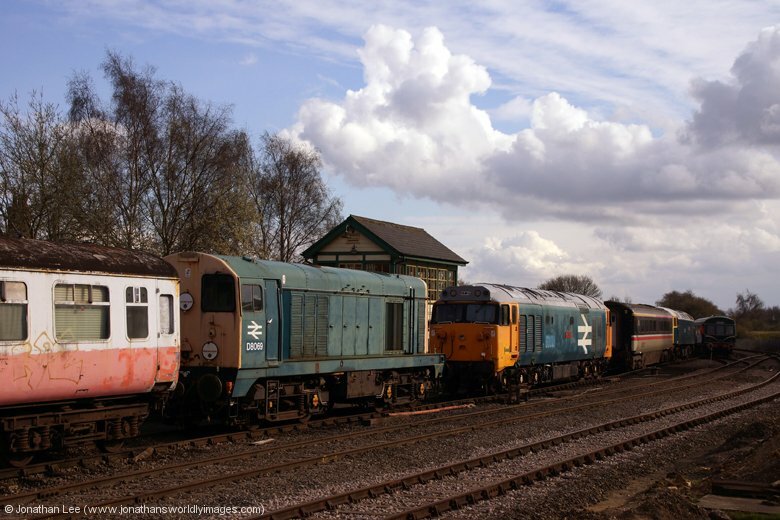 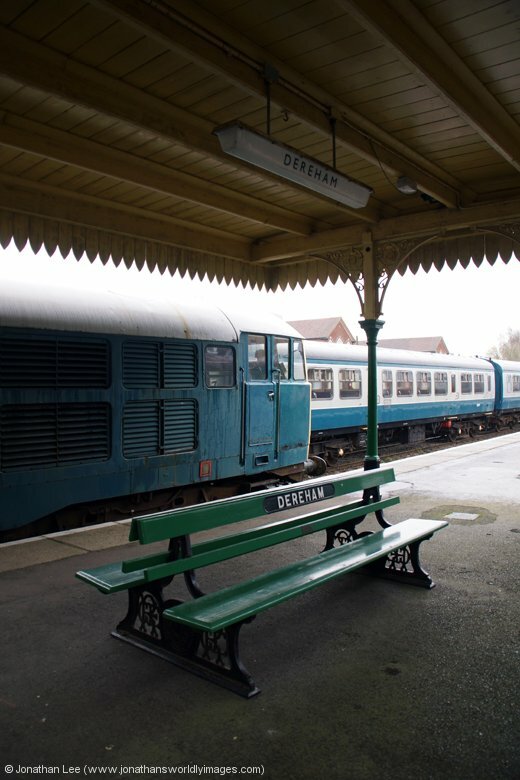 The Mid Norfolk Railway were running a series of “Short Set Sundays” throughout March utilising the load three blue & grey set to represent vice unit turns from days gone by. 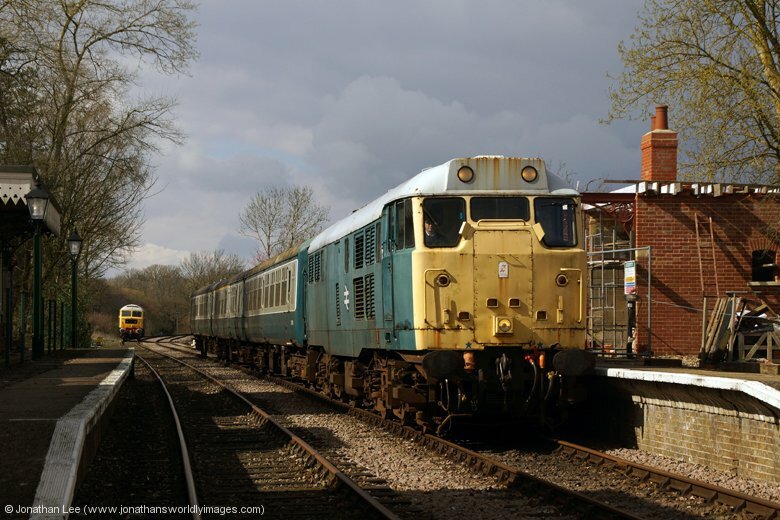 31235 was rostered 23rd March and looked the part in BR Blue with the blue and grey stock. 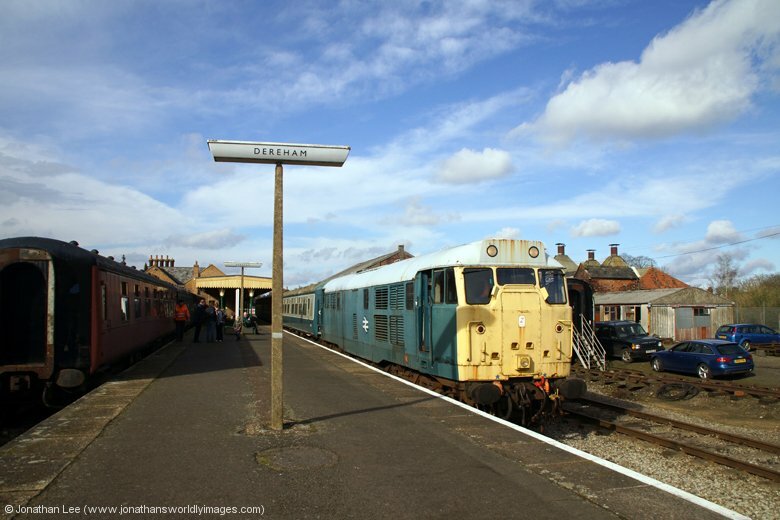 It was a cold day and the fact that the train was NB made it all the more authentic. 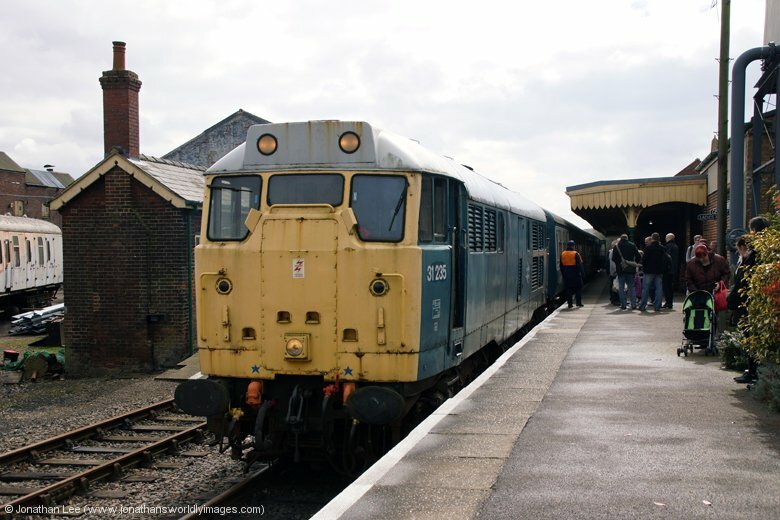 ‘235 had an excellent driver all day, who provided plenty of thrash for the good crowd that had made the journey. 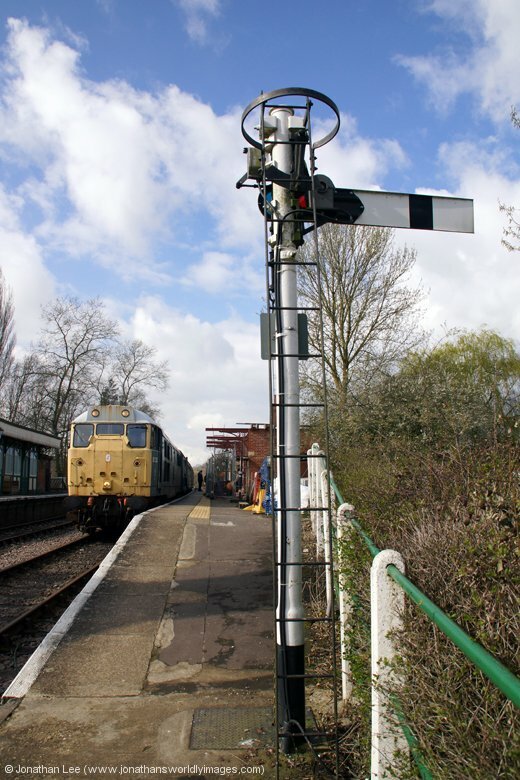 It didn’t have any faults during the day but didn’t seem to sound right after the first divert had come in. 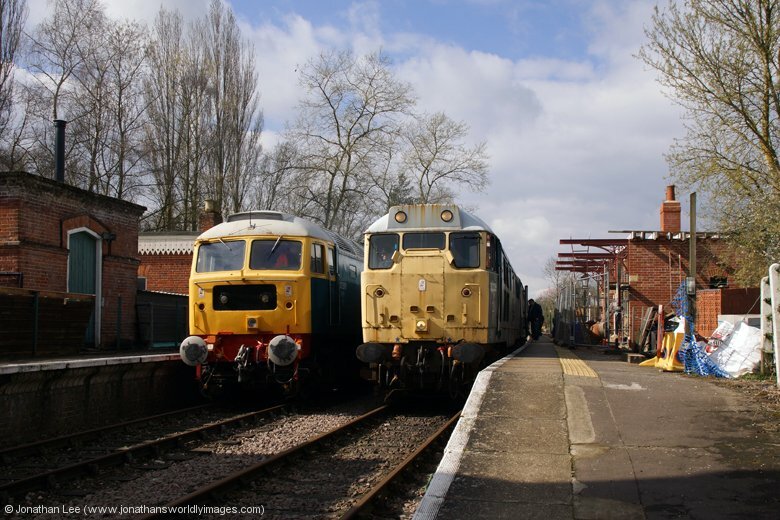 A good day out after a long drive round the country that weekend; Doncaster – Spa Valley (31206) – Mid Norfolk Railway (31235)!